Boost your system's performance with the 16GB DDR4 2666 MHz CL19 UDIMM Memory Module from Transcend. 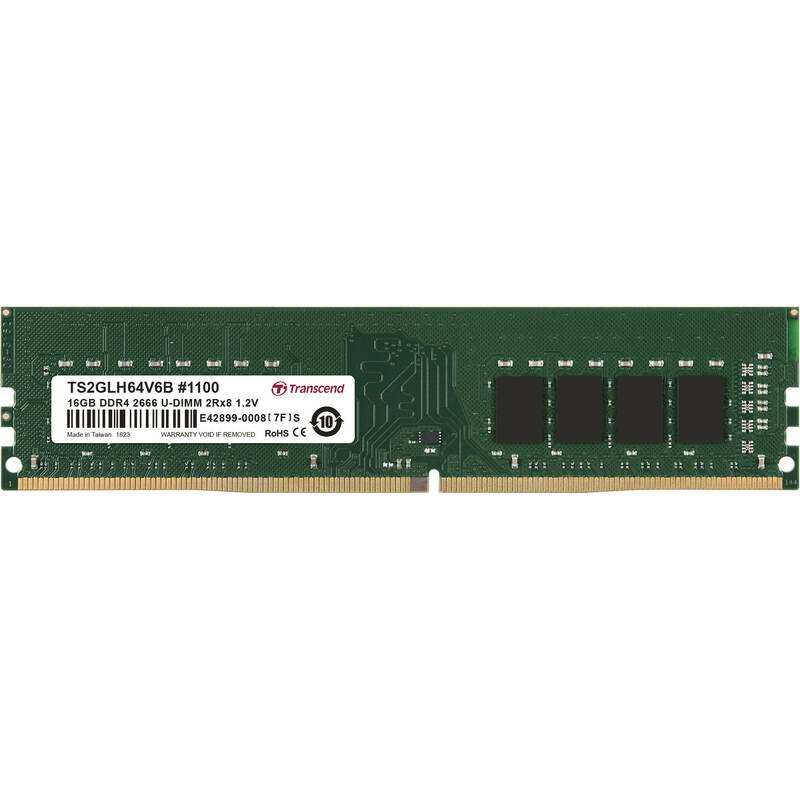 Delivering speeds up to 2666 MHz, this dual-rank module is a plug-and-play memory upgrade designed to improve your computer's start-up times, overall responsiveness, and ability to handle data-intensive applications. It is unbuffered, features a CAS latency of CL19, and works on systems with a 288-pin DIMM slot and a DDR4-enabled chip. Moreover, the module's nominal voltage rating of only 1.2V ensures cooler operation and reduced power consumption.